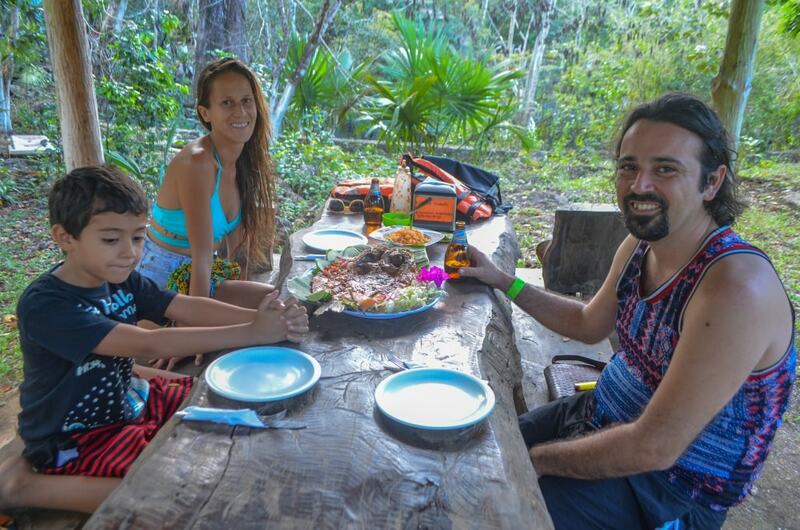 Our menu includes starters, ceviches, sopes (fried tortilla topped with fried beans and additional toppings), our dish of the day and our specialty “pescado a la talla” (Guerrero style grilled fish). You can also enjoy our refreshing drinks. We have a barbecue available for our guests. 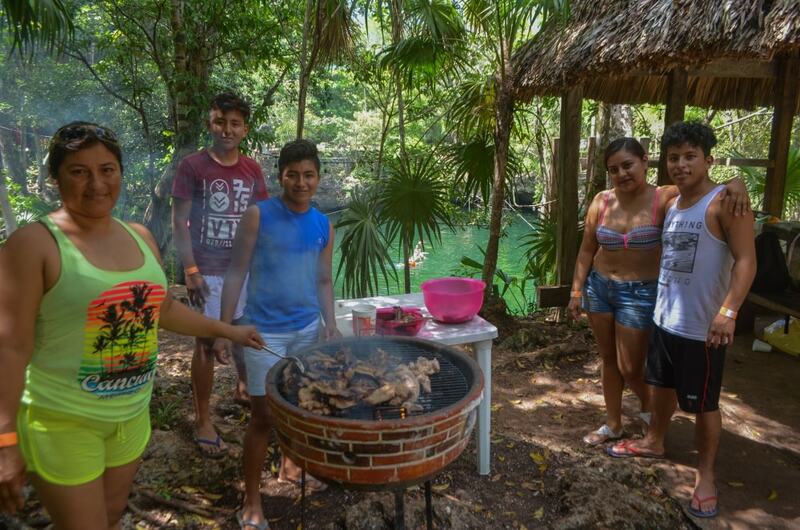 During your visit you can prepare a delicious barbecue. The rental cost is $180 pesos (one bag of carbon is included in the price). Extra carbon has an additional cost of $50 pesos. If you have an adventurous spirit and you like living in nature 100%, you can camp on our property and admire the firmament like in no other place. 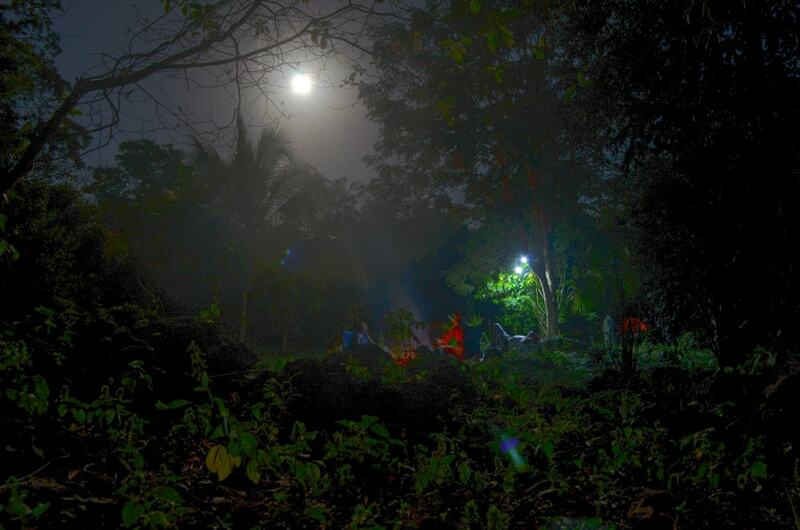 Camping in Popol-Vuh is a unique experience: enjoy the freshness and the sounds of the jungle at night. The price for adults is $180 and for children $100. Check-in for camping starts at 6:00 pm and check-out is at 1:00 pm the next day. The tent is not included, and we ask our guests to take down the tent at 9:00 am. We offer service of accommodation for those who seek to disconnect from technology, enjoy nature, breathe fresh air and wake up listening to birdsongs. 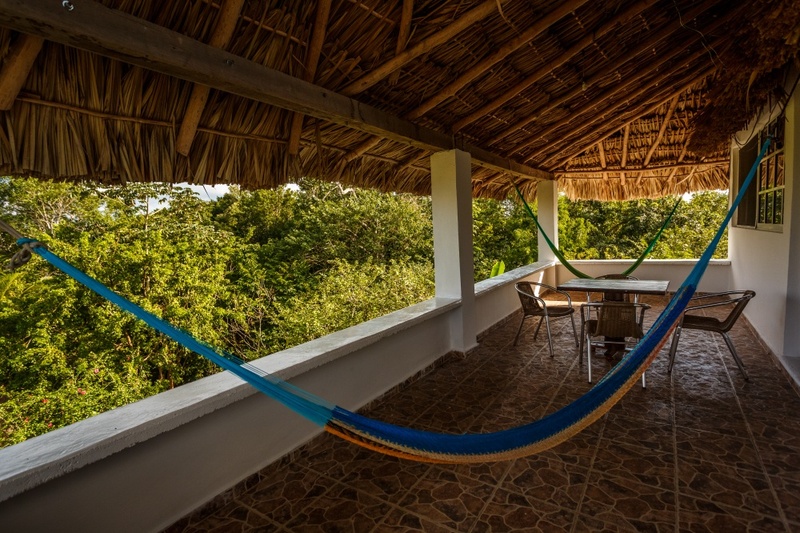 All our rooms have a little terrace and hammocks to guarantee fully pleasurable rest and relaxation for our guests. 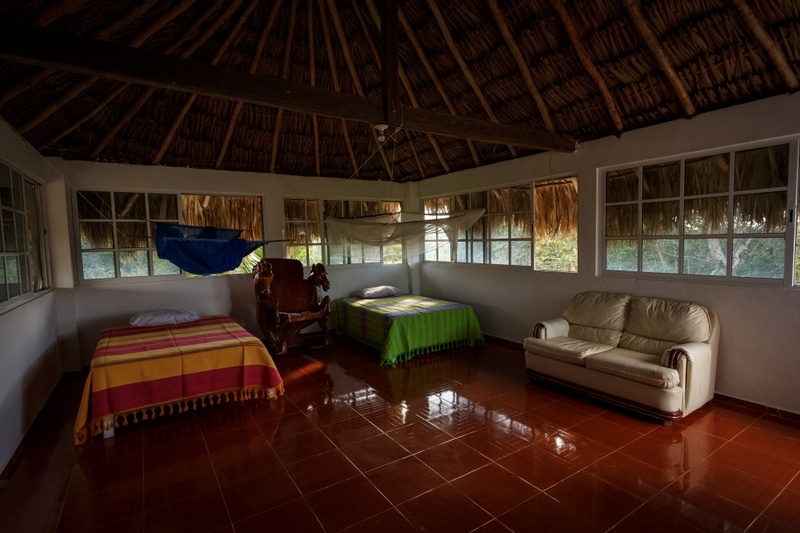 Price: $1,500 pesos per night for 1 to 4 people (no food included).